We continue with part 2 of Henri de Villiers’ examination of the various forms and traditions of the pre-Lenten period. Click here to read part 1. In both East and West, the week immediately before Lent took on a penitential character very early, beginning at first with meat. We must remember that the early Church followed a strictly vegetarian diet for all of Lent. 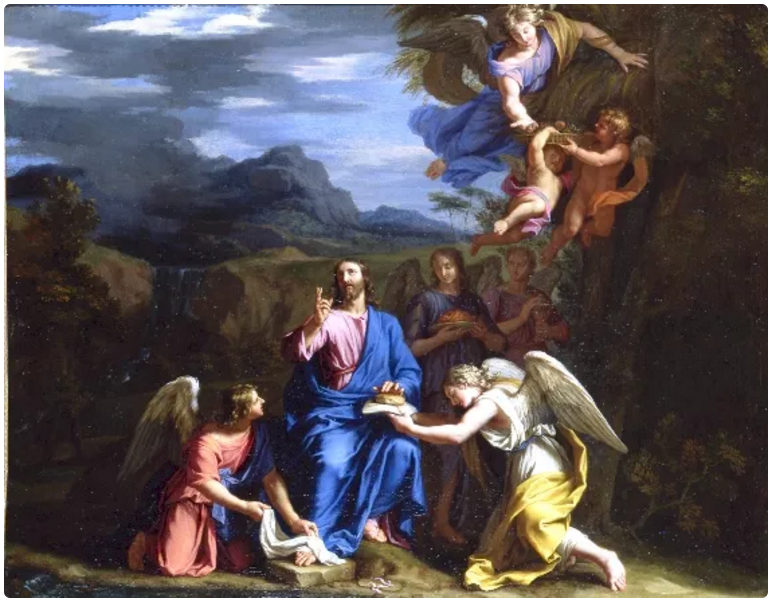 For the week immediately preceding Lent (the Latin Quinquagasime, Tyrophagia in the Byzantine Rite), although meat is taken away, milk products, eggs and other animal products may still be consumed. To better understand the origins of this week, we must also consider that Lent lasts for seven weeks in the East, and for six in the West. In the East, where there is no fast on either Saturday (except for Holy Saturday) or Sunday, this makes for a Lent of 36 fast-days. In the West, where the fast is kept also on Saturday, but never on Sunday, this gives the same number of days, before the time of St Gregory the Great. To compensate for the missing days and to make the symbolic number of 40, the number of days of Christ’s fast in the desert, the Christians chose to anticipate the by a week the official beginning of Lent. This was also done in consideration of the possible occurrence of feasts that displace the fast, principally the Annunciation. The institution of Quinquagesima week is attributed by the Liber Pontificalis to the eighth Pope St Telesphorus (125 to 136–138). This attribution may be purely legendary, but since the notice of Telesphorus was written under Pope St Hormisdas (514-523), we can infer that this custom was already of immemorial use at the time, if it could plausibly be attributed to such an early predecessor. The so-called Leonine Sacramentary contains a Mass for Quinquagesima, the text of which seems to have been written in the reign of Pope Vigilius, ca. 538 A.D. In the East, we can follow the same early indications of the establishment of Cheesefare Week (Tyrophagia). The pilgrim Egeria (Itinerarium 27, 1) reports that an eighth week of penance was kept at Jerusalem in the 4th century. Between the 5th and 6th centuries, the Georgian lectionaries, which are based on the Jerusalem liturgy of this period, bear witness to the existence of special readings for the two weeks before Lent. The custom of a week of ascetic practice before Lent, already attested before the 6th century (St Severus of Antioch counts it in his description of Lent), was sanctioned by official decision in the 7th century in the reign of the Emperor Heraclius (610-41). The origin of his fast is uncertain. Most authors connect it with the events of the war which took place between the Byzantine Empire and the Persian Sassanid Empire from 602 to 628, during which the Jewish population of Palestine rebelled against the Christians, and the power of Constantinople, and allied with the Persian troops. This led to the fall of Jerusalem to the Persians, the loss of the relics of the True Cross, and the massacre of 90,000 Christians. By the time Jerusalem was reconquered by the Byzantine armies, and Heraclius entered the city in triumph in 629, all the Christian churches, including the Holy Sepulcher, were in ruins. The Emperor ordered a massacre of the rebel Jewish forces, despite a previous promise of amnesty. In penance for this act of perjury, the Patriarch of Jerusalem instituted a week of fasting before the beginning of Great Lent. This arrangement was at first supposed to last for only 70 years, but endures to this day with this name among the Copts of Egypt and Ethiopia. 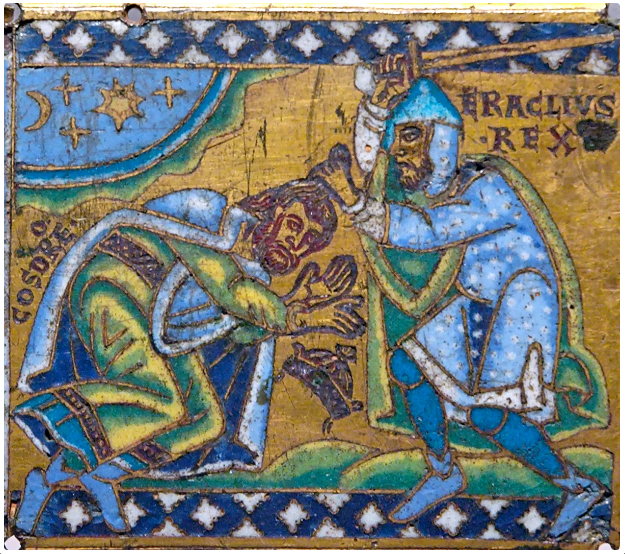 Alongside this explanation, the more common one, another is generally neglected, namely, that Heraclius prescribed to his troops a week of abstinence from meat, and the reduction in the use of milk products, during the sixth year of his wars against the Persian, to implore God for victory. It is also possible that both explanations are true, and more than probable that they merely ratified a custom already widespread. In the following century, St John Damascene attests that Lent is preceded by a preparatory week. (cf. On the Holy Fast, 5). The institution of a week of mitigated fasting before Great Lent, which was done very early in both East and West, has two virtues, one symbolic and the other practical. On the one hand, this week of semi-fasting was perceived as a way of fulfilling the sum of forty days; on the other, the transition to the strictly vegetarian diet was made easier by a gradual progression.